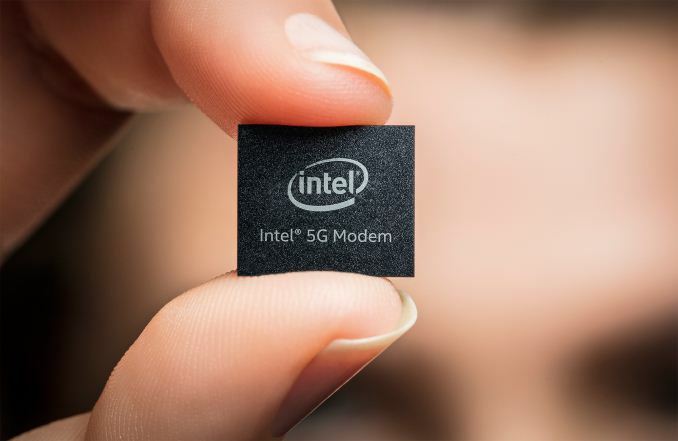 Intel last week announced that its first commercial 5G modem, the XMM 8060, is now under development and will ship in a couple of years. As part of the announcement, the company reiterated its plans to offer a top-to-bottom XMM 8000 family of 5G modems for various applications, including smartphones, PCs, buildings and vehicles. In addition, the company announced its XMM 7660 Cat-19 LTE modem that supports download speeds of up to 1.6 Gbps, which will be available in 2019. At present, Intel’s 5G Mobile Trial Platform is used to test 5G technologies in different locations around the world. For example, one of such devices installed aboard the Tallink Silja Europa cruise ship is used to enable Internet connectivity to passengers while in port in Tallinn, Estonia, (where another 5G MTP is installed) and the nearby area. Meanwhile, Intel’s 5G Modem for client applications is evolving as well. Intel said that devices powered by the silicon can now make calls over the 28 GHz band. The 5G MTP will be used for its purposes for a while and will even gain new capabilities over time, but the company is working on a family of commercial modems that will be used for mass applications sometimes in 2019 and onwards. The Intel XMM 8000-series multi-mode modems will operate in both sub-6 GHz and millimeter wave global spectrum bands, combining support for existing and next-gen radios. Intel does detail the whole lineup two years before the launch but indicates that it will be able to address smartphones, PCs, vehicles, and fixed wireless consumer premise equipment (CPE). 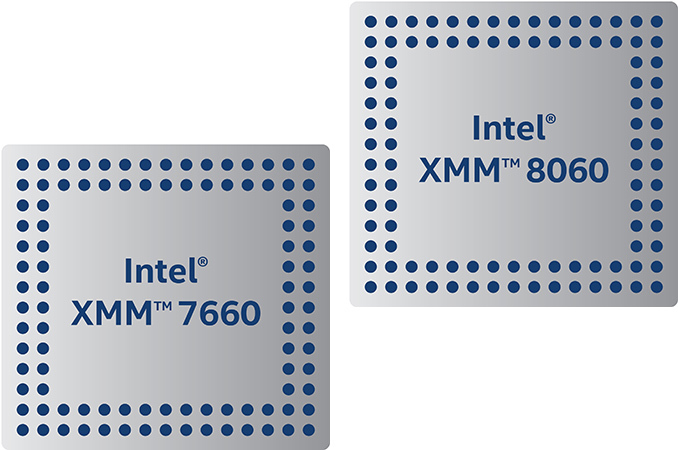 One of the first members of the Intel XMM 8000 family will be the XMM 8060 modem. This unit will support full 5G non-standalone and standalone NR, as well as 2G, 3G/CDMA, and 4G modes, thus enabling devices to work in different locations, including large cities with 5G standalone NR (this may be a distant future) as well as rural areas that have 2G or 3G networks. Intel expects commercial devices based on the XMM 8060 to ship in mid-2019, a little bit ahead of 5G networks deployment in 2020. Since 5G is not going to become widespread for a number of years to come, there will be demand for Gigabit speeds over LTE from various parties in 2018 - 2020. Intel announced its first-gen Cat 16 Gigabit LTE modem — the XMM 7560 — earlier this year and at present the chip is being tested by smartphone makers. A good news is that it now can officially achieve Gigabit-class speeds (presumably in an actual device), so expect commercial products on its base sometimes next year. 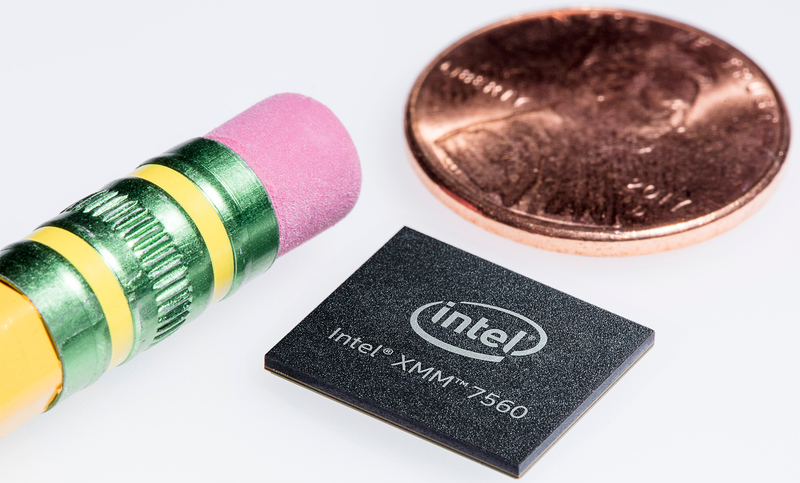 In the meantime, Intel is prepping the XMM 7660, its second-generation Gigabit LTE modem capable of up to Cat 19 (1.6 Gbps) downlink connections. Intel hasn't disclosed much in the way of details on this one, but expect a natural set of features here — advanced MIMO, carrier aggregation, 256QAM, loads of bands support, etc. Intel expects commercial devices to adopt the XMM 7660 in 2019. By that time, leading carriers will implement many of the features necessary for both 5G and Gigabit LTE, so the modem will be able to achieve its speeds in many locations. Ivan currently visiting India and amazed at the data caps on 4g here. 10gb a day for a few dollars per month, I kid you not. Coming from Germany with my 40 bucks for 3gb/month I suddenly feel in the 21st century. Being in India and just getting a taste of LTE, I cannot help but wonder: is there even a point in getting to 5G speeds beyond vague definitions of "progress" as a numbers game? Is it really as simple as "the company would have nothing to do otherwise"? Data caps exist because the bandwidth available over lte frequencies is limited. 5G aims to alleviate bandwidth limitations by adding higher frequencies and more efficiently using existing ones.